Life Connection Center started from and still remains part of an active church community. The LCC program and its founders from the M.I.L. Church believe that we are all called to feed the poor, love one another and put others before ourselves. 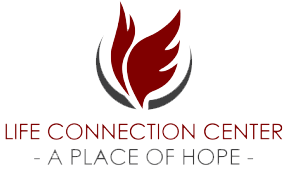 The founders of Life Connection Center truly believe that having faith in God can help address all areas of your life. Although these are the beliefs of the staff and volunteers, they do not discriminate based on religion or spiritual beliefs. All are welcome at Life Connection Center. If you are in need of prayer, spiritual guidance or support, the Pastors and Leaders from the M.I.L. Church are available to meet with you. Available during any of the regular programming and by appointment as needed. all the time. Then I got sick. They go above and beyond.